Are you really naked under those gloves? For Pete's sake, put on some Handerpants! 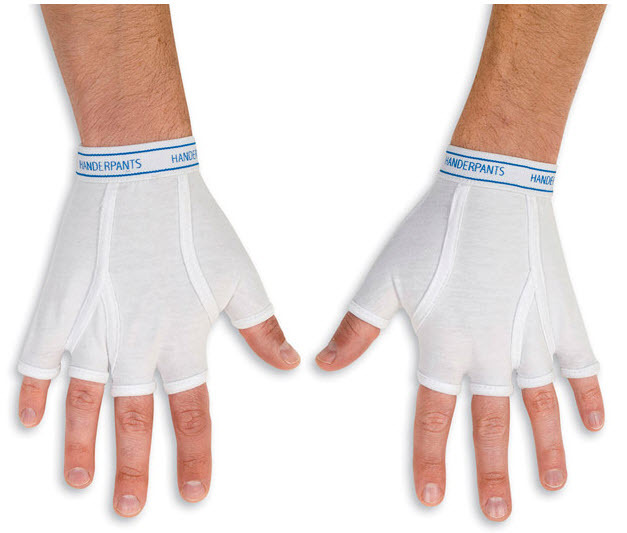 These 95% cotton, 5% spandex, fingerless gloves have the look and feel of men's briefs. Slip them on underneath your gloves for extra warmth and protection from chafing! Wear them on their own as a vaguely inappropriate fashion statement! Hundreds of uses! Fit most adult hands.